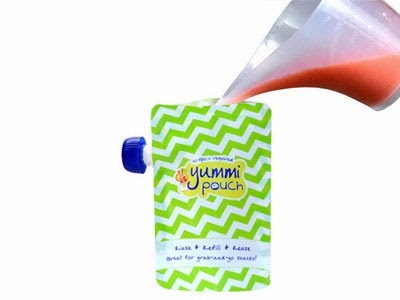 Mom Loves 2 Read: Yummi Pouch Review - a great way to get kids to eat healthy on the go, and no mess and no spoon required! - Each pouch holds up to 2.5, 6, or 10 ounces of your favorite homemade smoothies and blended snacks. - Food grade material is BPA-free, PVC-free, and phthalate-free. - Dishwasher safe, just expand the bottom and stand upside down over the prongs. - Great for healthy, on the go snacks. - Easily fillable through the reinforced, leak proof zipper seal. - Comes with a 30 day product guarantee. What a great idea - finally a way to take healthier snacks on the go, without taking up a ton of room in the cooler. And, they are washable, reusable and recyclable too! Talk about eco friendly - and Family Friendly too. I love that now, I can take applesauce, yogurt, smoothies, shakes and fruits on the go when my family is traveling. It saves money buying snack foods, saves room in the cooler for containers, no spoons necessary and my kids can eat something healthy instead of junk foods and snack foods. They can also be used for drinks too! To test out these fun Yummi pouches by making a fun fruity drink. 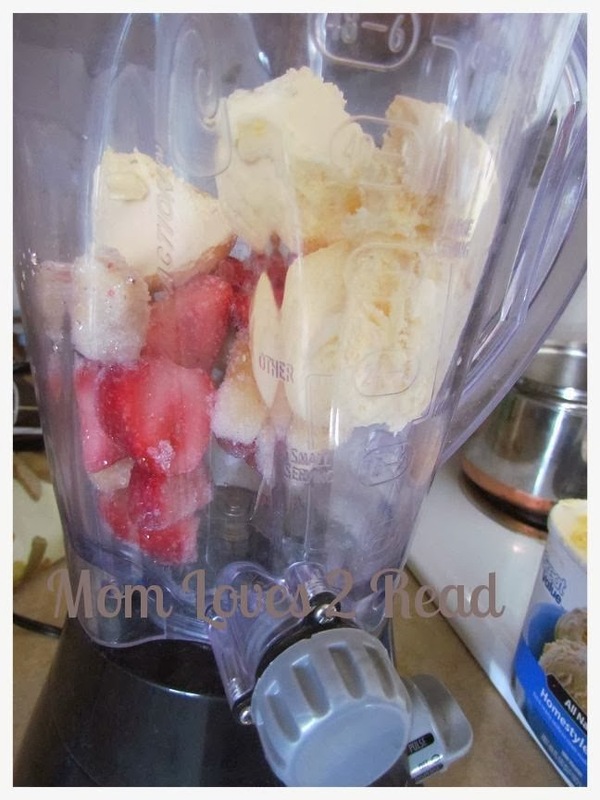 I had some frozen strawberries and bananas in the freezer and just a little no-sugar added vanilla ice cream - so of course I had to make a shake! 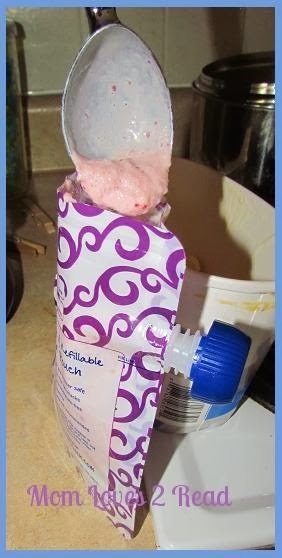 After blending together the fruits and ice cream with a bit of lowfat milk - I was able to scoop half of the fruity refreshing treat into one of the fun looking Yummi Pouches for my daughter to have for snack time! She loved being able to sit with me in the living room to eat her ice cream snack while watching the Olympics instead of having to remain in the kitchen to eat. I am excited about the amazing possibilities of all the great healthy and fun treats and snacks I can now take on the go for my kids. They all love Applesauce, but that is a messy treat to take on the go - and those baby/toddler ones in the stores can be very pricy. Now, we can pack our own, save money and have a great fresh snack to take with us. My niece is a picky eater - at nearly 2 years of age, she will Only eat fruits or veggies if they are in similar containers to these Yummi Pouches. To purchase them in the stores can add up to expensive grocery bills. Now, my SIL has seen these pouches that I have, and she wants some to use for her girls too! It is so easy to make homemade veggie mixes, fruit mixes and other great snacks for little ones that is not messy, and easy and fun for them to eat! Missed the VD sale? 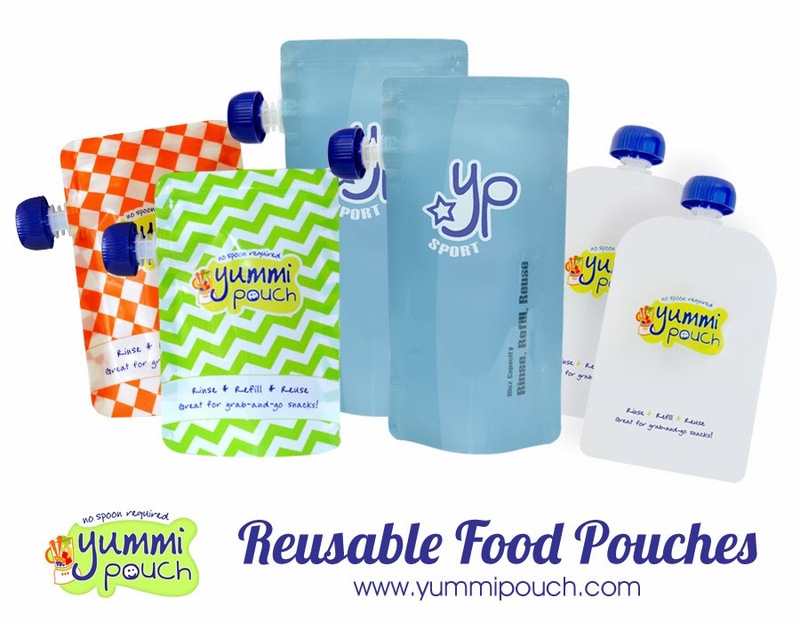 Use this code: PARTY4YP for 10% off at www.yummipouch.com/store.